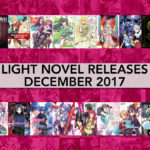 An all-new supernatural light novel series that inspired a hit anime! 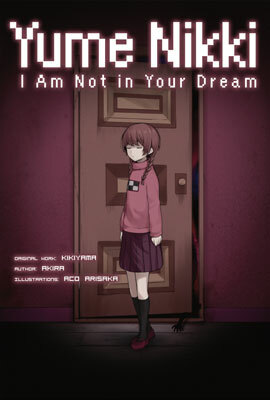 What happens when eight eccentrics cross paths on a paranormal blog run by a high school NEET? A whole lot of weird! 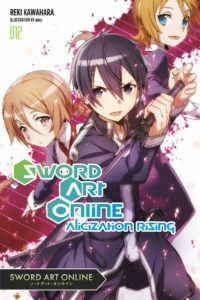 Gamon Yuta runs an occult-related site he hopes will one day make him rich. But before his dreams can come true, strange things occur when the lives of these nine oddballs collide. Can they solve a case that transcends reality and could alter the very fabric of our world? After the short story volume, we return to the main story with Silver Crow seeking a new ability in order to take on the Accelerated World Research Society. 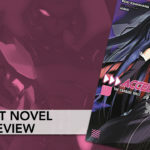 The Acceleration Research Society, a mysterious organization maneuvering in secret, makes their headquarters at the top of Tokyo Midtown Tower, where the Archangel Metatron is enshrined. This completely invincible Legend-class Enemy guards the Society from all would-be attackers, and so the Seven Kings meet in order to devise some means to defeat the Enemy and the Acceleration Research Society along with it. The secret plan they come up with necessitates that Silver Crow gain a new ability, Theoretical Mirror. Although he’s been ordered to obtain this ability–which can withstand even the instant death of Metatron’s ultimate laser–abilities require action to trigger their manifestation, in contrast with the way Incarnate techniques are generated through the imagination. Thus, Haruyuki’s powerful imagination won’t help him this time! In the MMORPG Cross Reverie, Takuma Sakamoto is so powerful that he is lauded as the “Demon Lord” by other players. One day, he is summoned to a world outside his own– but with the same appearance he had in the game! 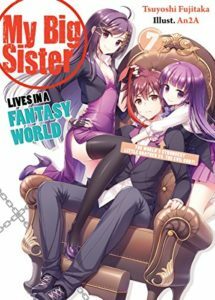 There, he meets two girls who both proclaim themselves to be his Summoner. They perform an Enslavement Ritual to turn him into their Summon… but that’s when Takuma’s passive ability Magic Reflection activates! Instead, it is the girls who become enslaved! Though Takuma may be the strongest Sorcerer there is, he has no idea how to talk with other people. It is here he makes his choice: to act based on his persona from the game! 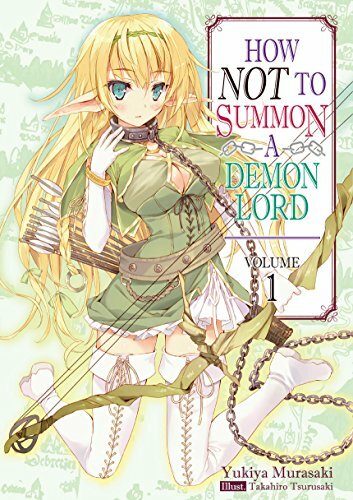 So begins a tale of adventure with an earth-shakingly powerful Demon Lord (or at least someone who acts like one) taking on another world! Back from his unexpected travels, Koutarou tries to settle in to his life as a normal high school student again. A school field trip to a ski resort sounds like just the right thing to do the trick. 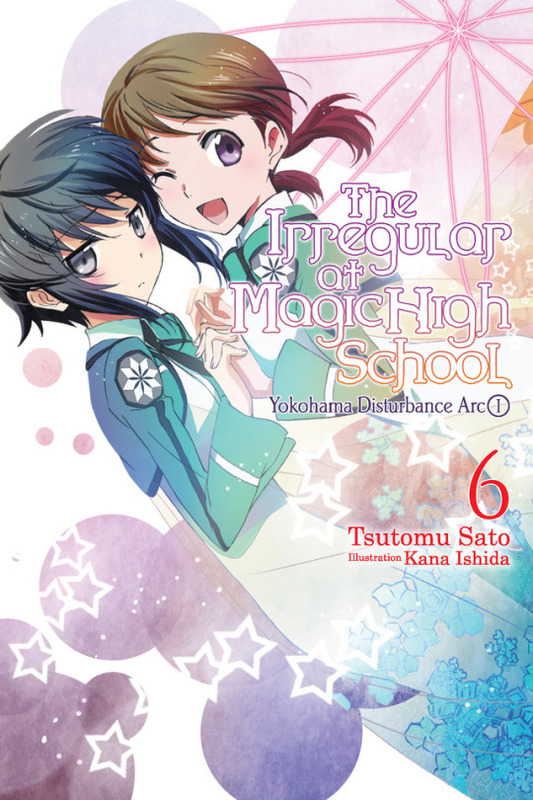 When they get there, however, Yurika notices that Maki is sneaking into the mountains to use magic. 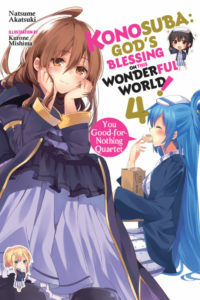 Worried that Darkness Rainbow is up to something, Yurika goes to investigate, but the investigation turns into a lot more than she bargained for when she comes across a demon. 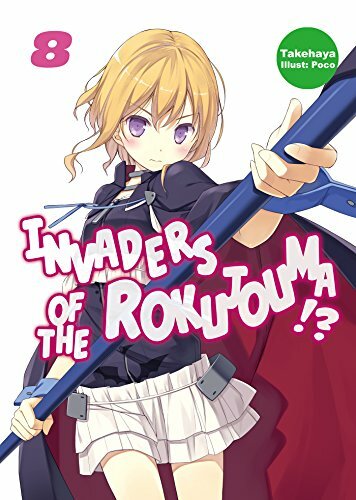 The 9th book in the Invaders of the Rokujouma!? series! 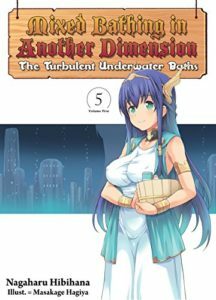 After learning from the Goddess of Water that Haruno and her party are in jeopardy, our hero Touya sets sail to an underwater city to save them. They finally reunite after a monstrous encounter along the way, only to be met with yet another shocking revelation. Meanwhile, Haruno hasn’t forgotten the promise she made long ago—to take a bath together with everyone. Touya’s Unlimited Bath can hardly be called just a bath anymore, but this time it’ll be filled with more bare skin than ever before! 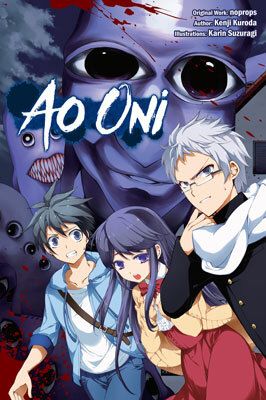 A great darkness sweeps across Aridol just as Yuki Kasuga finds herself abandoned and cursed. As fear and death consume the three kingdoms, Yuki must survive the hostilities of a foreign world without the protection of her Violet Knight. Join Yuki as she embarks on a deadly journey and takes on an enemy ordinary means can’t defeat. 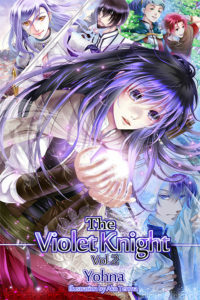 What will become of the girl determined to find her Knight as she fights to discover who she really is? 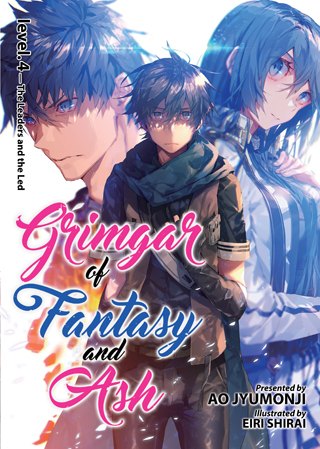 Find out in the exciting second volume of this dark fantasy light novel series! Moguzo let out an embarrassed laugh and scratched the back of his head. Still, he sure is bleeding a lot, Haruhiro thought. With all that blood, it’s impossible to tell what kind of face he’s making. But, well, it looks like he’s fine somehow. 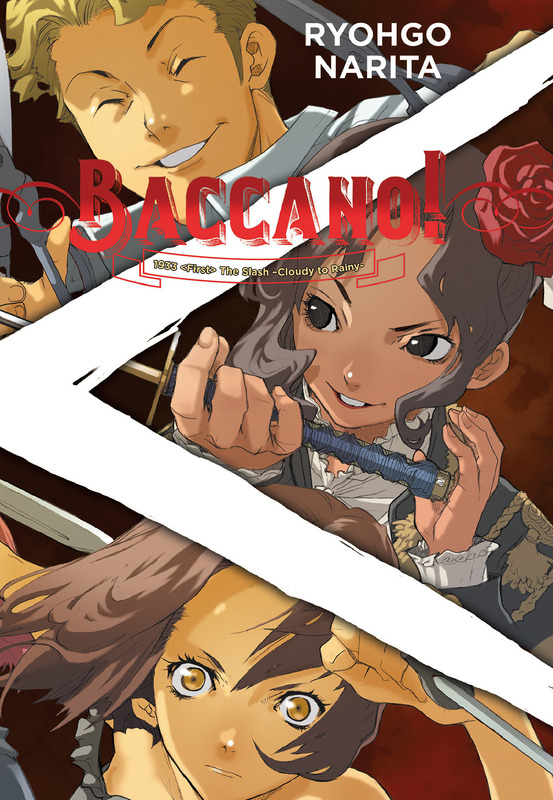 Haruhiro and his party reached the end of one major battle. However, with there being some comrades they couldn’t save, they couldn’t be entirely happy with how things were. Meanwhile, because they managed to accomplish more than anyone had expected, some members of the party receive offers from other teams wanting to poach them, too. As Haruhiro agonizes over what to do as a leader, he is forced to come to grips with what the party wants to do once again. The story of adventure born from the ashes now enters a new stage! 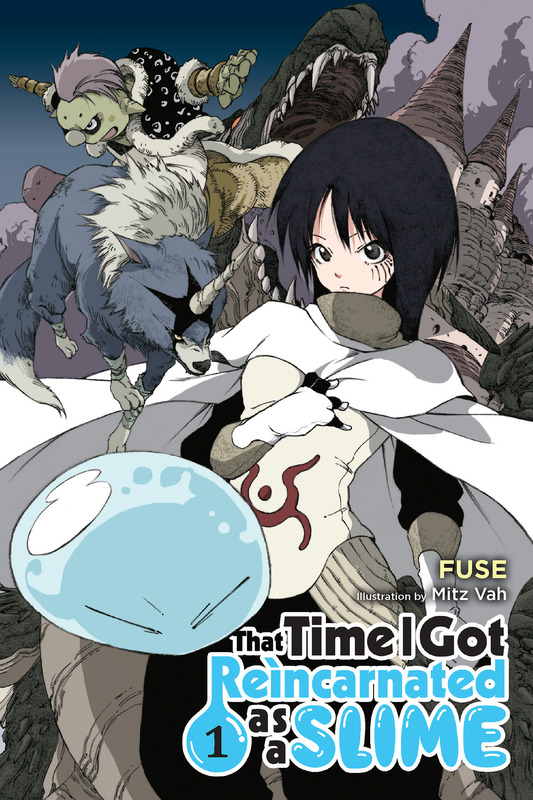 Fie, first princess of Daeman, finds herself isolated and stranded in the foreign Kingdom of Orstoll all by her lonesome – effectively having been wed off as a dowry gift in accessory to her sister, Princess Fielle’s marriage. 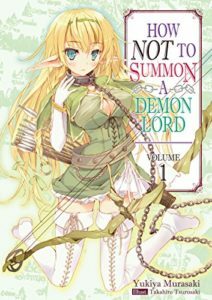 Trapped and isolated in a small back garden that once used to be a storehouse, Fie lives her days without purpose, and eventually without food – after the only member of her entourage, the chef, resigns. Just as Fie was about to give in to despair, she finds a pamphlet advertising a squire’s test for the Royal Knights of Orstoll – beginning her journey of friendship, hard work, and guts, along with masquerading as a boy to walk her second path in life. What will Fie find along the way? A new hotshot Burst Linker appears, taking Silver Crow down. 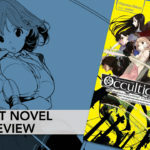 Haruyuki, still struggling to obtain the Theoretical Mirror ability, sees Wolfram Cerberus as a roadblock in his larger quest to get stronger and defeat Archangel Metatron. 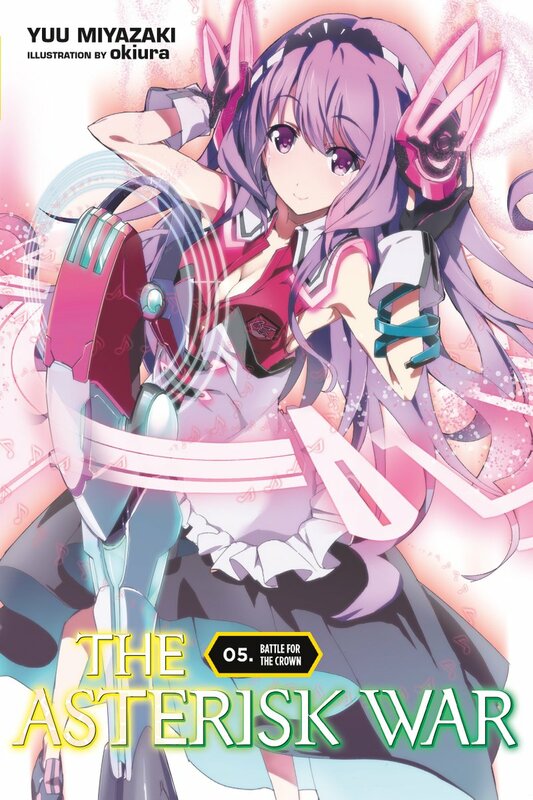 He soon meets Chocolat Puppeteer, a duel avatar made out of…chocolate?! With her help, will Silver Crow finally grow into the fighter all seven legions need to successfully carry out their mission against Metatron? 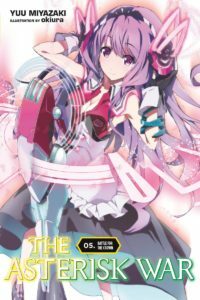 The fight for glory and entertainment continues in the fifth installment of The Asterisk War from Yuu Miyazaki! 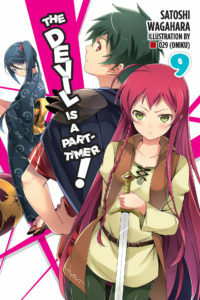 When Emilia the Hero is in danger, she finds an unlikely ally in The Devil King! 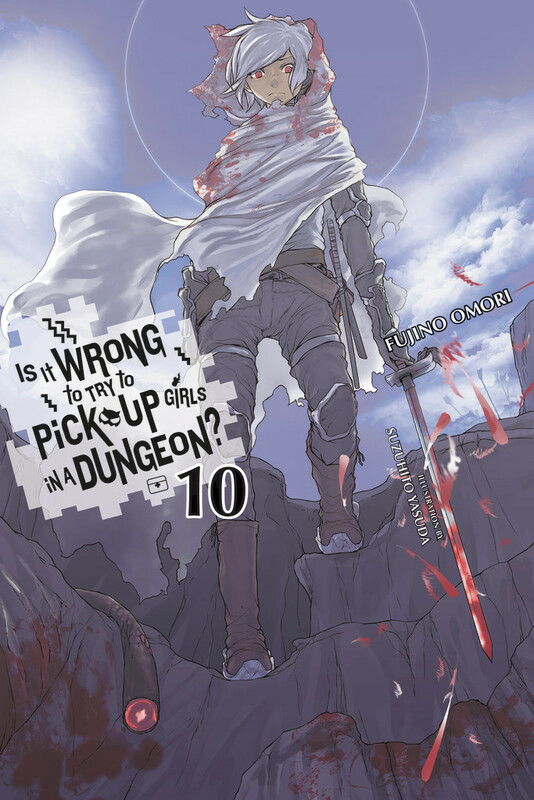 Unfortunately, with Ashiya kidnapped by Gabriel, the team is seriously lacking in manpower. Maou and Suzuno team up, traveling undercover through Ente Isla on a rescue mission, and a mysterious girl claiming to be Alas Ramus’s younger sister tags along. Meanwhile, Emi and Alas Ramus get caught up in the middle of Olba’s schemes. The sides among angels, demons, and humans–and who’s good and who’s evil–come crashing down! Goblin Slayer, Spearman, and Heavy Warrior received a dangerous quest to bring the fight to the Demon’s Castle. As they steel themselves for the challenge that lies ahead, Cow Girl and Priestess have a casual day out on the town. 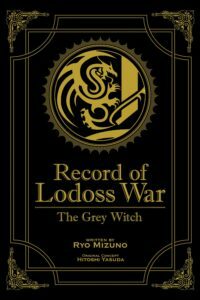 High Elf Archer tells a story about how she, Dwarf Shaman, and Lizard Priest came together, overcoming racial grudges to become close party members. High school drama meets high-powered action in a world where magic is the new science! 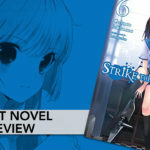 Don’t miss the latest installment of The Irregular at Magic High School! After encountering intelligent monsters in the Dungeon, Bell and Weine share a tearful goodbye as Hestia Familia return to the surface short one member. But not long after their parting, the Guild confirms the existence of armed monsters and immediately calls on Orario’s strongest to exterminate this threat. 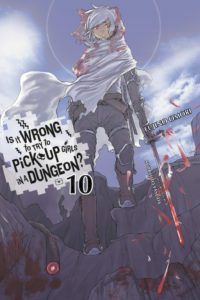 Bell is forced to make some of the hardest decisions of his life when he’s the only thing standing between a massacre of monsters and adventurers. The Braves still have not identified the impostor among them. When Goldof takes off to help Nashetania, the initial seventh Brave, the group begins to suspect him of aiding Tgurneu. What is the fiend plotting…? 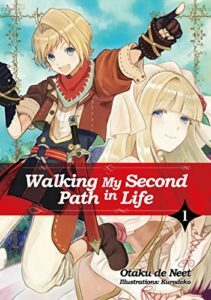 Eugeo has finally met Alice again, but she’s no longer the same girl he once knew, now calling herself an Integrity Knight. Even worse, the reason for Alice’s unexpected return is to capture Kirito and Eugeo! Living alone and never having had a girlfriend, 37-year-old Satoru Mikami is dissatisfied with how his life has turned out. But after dying at the hands of a robber, he awakens to a fresh start in a new world…as a slime monster. 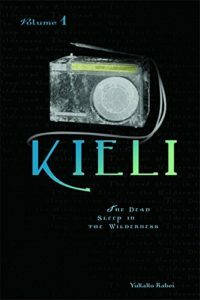 Kieli Volume1 – Issued as eBook! At the very edge of the front lines stands a young girl. She has golden hair, blue eyes, and pale, almost translucent skin. This girl soars through the skies, mercilessly cutting down her enemies. She barks crisp orders with the unmistakable voice of a child. Her name is Tanya Degruechaff. 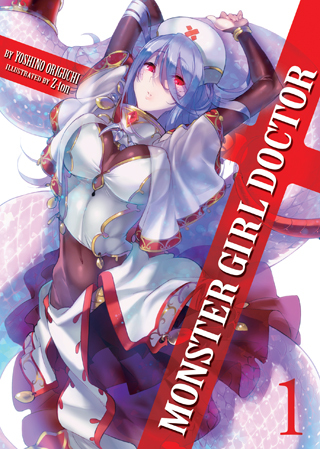 In the town of Lindworm where monsters and humans coexist, Dr. Glenn runs an exemplary medical clinic for monster girls with his lamia assistant, Sapphee. Whether receiving a marriage proposal by a centaur injured in battle, palpating the injury of a mermaid, or suturing the delicate wounds of a flesh golem, Dr. Glenn performs his job with grace and confidence. But when an unsavory character seeks to steal a harpy egg, how will the unflappable Dr. Glenn respond…? 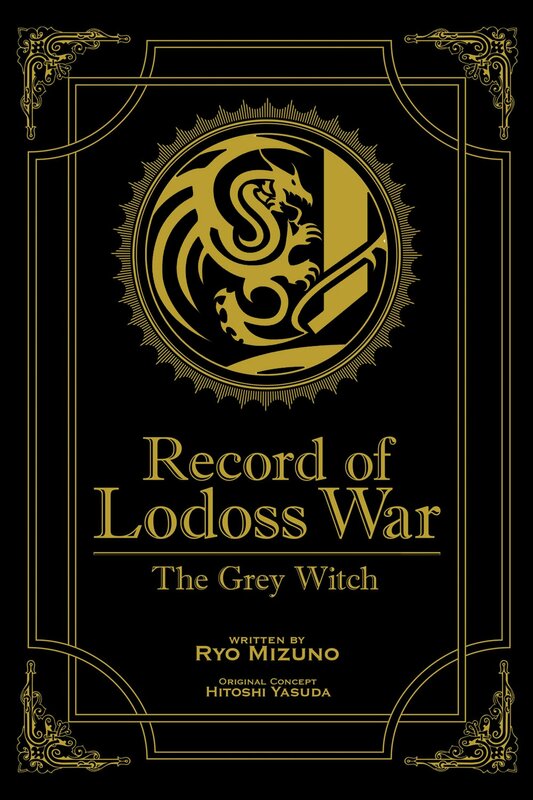 Parn, a reckless but passionate swordsman embarks on a quest to discover the source of a great evil overwhelming the country of Lodoss. Joining him are Deedlit, a young elf wielding powerful magic; Ghim, the tough-as-stones dwarf; Etoh, a fledgling priest; Slayn, the group’s sorcerer; and Woodchuck, their indispensable thief. Together, this iconic group will join forces to discover the truth behind a world torn apart by ancient deities and wield the power needed to defeat the Grey Witch! Shun is the new kid in school, but he’s already managed to attract the attention of the school bully, who’s now making his life a living hell. It doesn’t seem like things could get any worse, until the night he finds himself and a group of his classmates inside a creepy, abandoned mansion known as the Jailhouse. They quickly start to hear strange sounds and see weird things, but everything escalates when they realize they can’t get out. Once they’re trapped inside, a blue, unnaturally large figure chases after them. Is it a new species? Or is it the ghost of their old classmate who died in an accident? Nobody knows, but one thing is for certain… If it catches them, they’re dead! The scariest game of tag in history begins! With their business in Ur concluded, Hajime and his party return to Fuhren. After getting Yue, Shea, and Tio their Status Plates, Hajime decides to rest in the city for a while. But as always, if he doesn’t go to trouble, it manages to find him. During a date with Shea, he runs afoul of a shady underground organization. There he rescues a girl named Myuu and becomes… her father!? In Yukinari’s town of Friedland, a resident suddenly dies a mysterious death. At first, it’s thought to be a murder related to the recent battle… until people find out that there was an eyewitness. 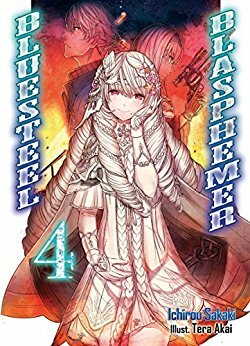 Yukinari decides to handle the investigation himself, only to find the words “Amano Yukinari” scrawled in Japanese at the scene… It’s the stunning final volume of the alternate-world battle-action series, Bluesteel Blasphemer! 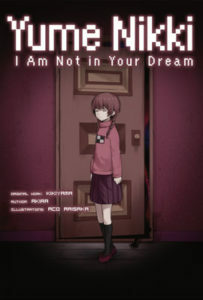 Based on the cult hit freeware game by Kikiyama, the dream-like novelization of Yume Nikki follows a lonely and mysterious girl from the confines of her tiny, sparse bedroom into the infinite world that awaits her when she falls asleep. She roams through shifting scenery and opens doors leading to bizarre, nonsensical dreamscapes, all places that may hold more than a metaphorical significance to her. But here, in the deepest reaches of her unconscious mind, is she truly alone? The Divine Vessels War is reaching its conclusion. 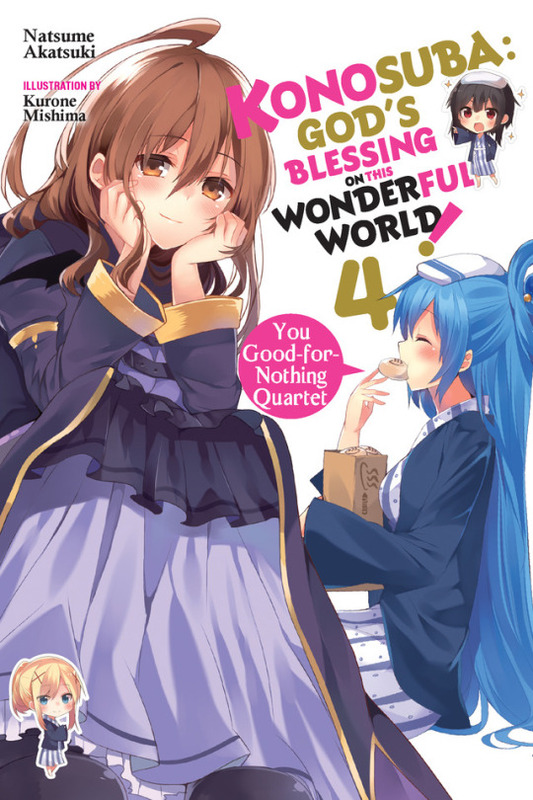 But with Soul Reader gone, Yuichi wants nothing more than to drop out! But will he really be able to go back to the normal life he’s always wanted? And if he does, will Mutsuko ever speak to him again?! 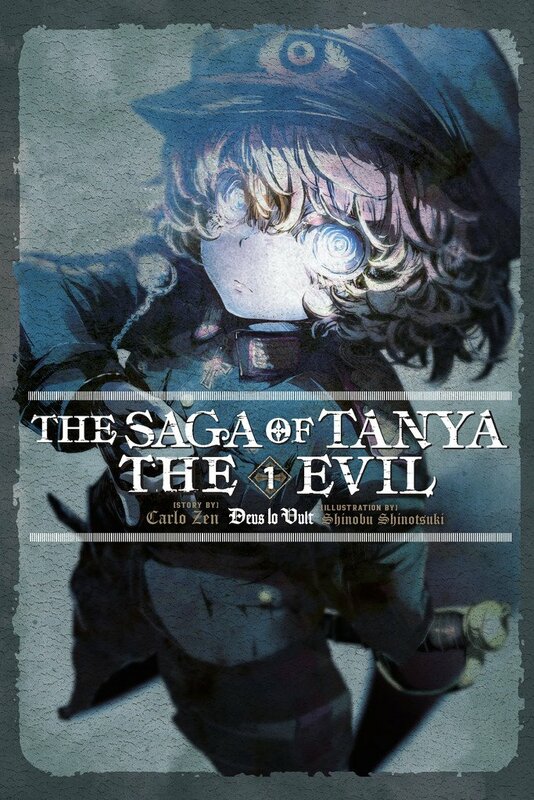 After the short story volume, we jump right back into the main story. 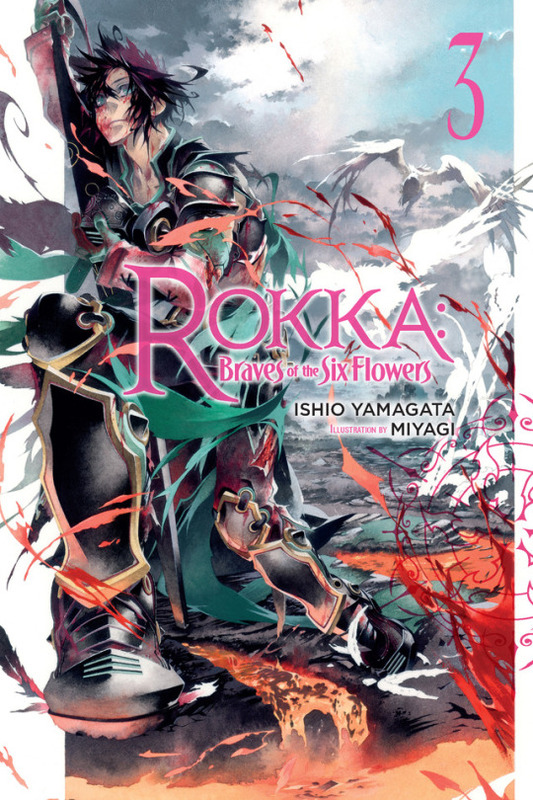 And wow, what a pivotal volume this one turned out to be! 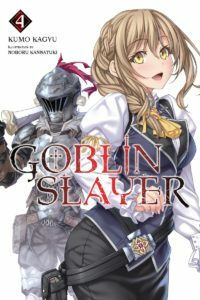 For the Hero, whose mission is to slay the Devil King, Emilia Justina appears to have gone soft. She travels to Ente Isla with Alas Ramus to sort through her thoughts and investigate what’s happened there since she went to Japan. The gang expects to see Emi again soon, but she never returns! Meanwhile, Maou (the Devil King) is studying for his driver’s license, trying not to fret over the Hero’s disappearance. On the way to his exam, he meets a strangely familiar pair…Could they know something about Emi?! 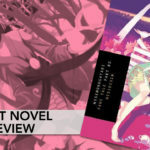 Originally planned to be the series’ conclusion, “final” chapter “Tsukihi Phoenix” invites us back to the seemingly eventless country burg where supernatural afflictions abound and characters change their trademark hairstyles at the drop of a hat. Rest assured, dear reader, that the story continued in Japanese and will do so in translation. In the first half of Fake Tale, lost soul Araragi helped resolve his bigger little sister Karen’s feverish run-in with a fraud. 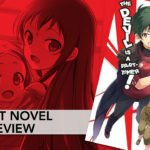 In this second half, he must attend to his littler little sister Tsukihi’s issues, but not before staging the Toothbrush Episode that the acclaimed anime adaptation’s viewers find quite memorable—whether they like to or not. As fraught with ominousness as a dark empty street, as unexpectedly full of feeling as an acid-tongued girlfriend, as sidesplittingly funny as a horny retired jock, and (maybe even) as educational as college in the best MONOGATARI tradition, this volume also introduces us to “ghostbusters” Yozuru Kagenui and Yotsugi Ononoki. 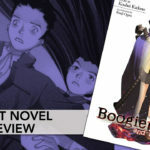 Review of the light novel Boogiepop Volume 1 (Boogiepop and Others) by Kouhei Kadono. 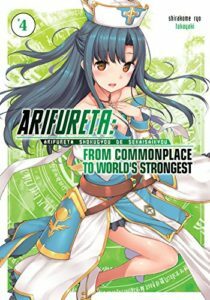 This is the book most credited with starting the current age of Light Novels. There is an urban legend that children tell about a shinigami that can release people from the pain they are suffering. This “Angel of Death” has a name–Boogiepop. And the legends are true. Boogiepop is real. 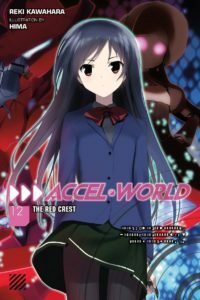 When a rash of disappearances involving female students breaks out at Shinyo Academy, the police and faculty assume they just have a bunch of runaways on their hands. Yet Nagi Kirima knows better. Something mysterious and foul is afoot. Is it Boogiepop or something even more sinister…? Experience the story through several characters’ eyes as you piece together the true order of disturbing events, in this unforgettable prelude to the Boogiepop Phantom anime series! When all the students depart for a school field trip to the mainland, Kojou is delighted to hear that he’ll finally get a chance to be free of observation for at least a little while, whereas Yukina has mixed feelings about the whole situation. But events move quickly when an alchemist by the name of Kou Amatsuka appears, with the goal of reviving the holy grail of alchemy–a liquid-metal life-form known as “Wiseman’s Blood.” As the crisis deepens, even Asagi becomes involved when this alchemist’s relic grows more and more uncontrollable. 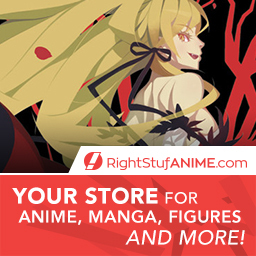 What can the world’s strongest vampire do? !